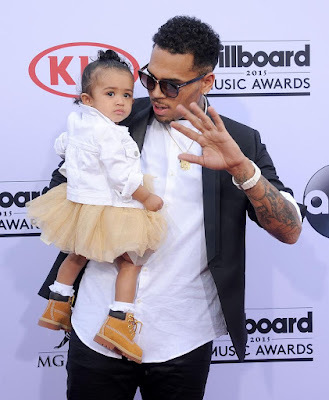 Chris Brown, 26, is sick of hearing that he can’t see his daughter Royalty because he’s an unfit father which is what ex Nia Guzman, 31, is trying to perpetuate so she can get full custody of their baby! He’s fighting back against her allegations with everything he’s got, because he is desperate to keep this from happening. Nia has filed a request to get full custody of Royalty, limiting Chris’ interaction with his daughter to only supervised visits. Chris is planning to file an opposition to Nia’s request. He’s devastated that Nia has been keeping him away from little Royalty, and the fact that she’s been spreading rumors about him being a terrible father is just hurting him more. Chris has plenty of evidence on his side to counter Nia’s claims. Firstly, he is going to argue that he never puts Royalty in a dangerous situation; he’s even surrounded his home with a massive 24-hour security team for extra protection after burglary scares.